Great college infrastructure, great people. Students gets full attention from the faculty members, very good placement support because of the strong corporate network. Faculty definitely know how to transform a normal graduate into a good manager. College Hostel is excellent, neat and clean condition. It has a sports complex. Over all its an excellent college. 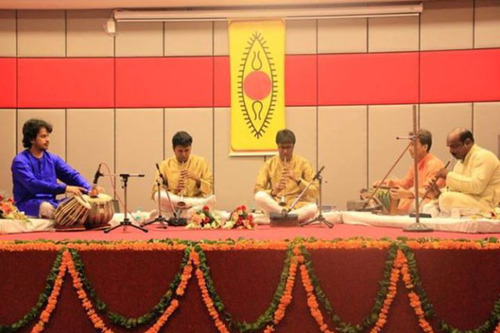 The college's pedagogy promotes holistic development of students, honing their skills. 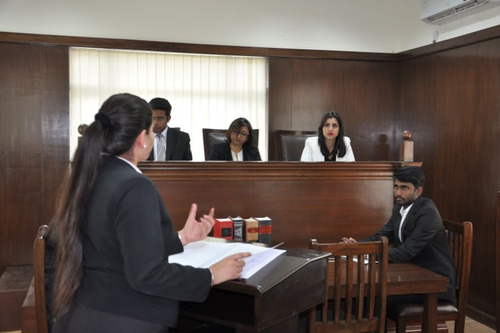 The college has illustrious faculty who are constantly endeavoring towards making their students apt to face the real world competitive environment. 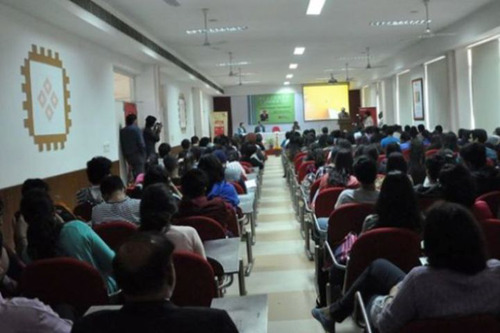 Industry visits held time to time further, enable the students to develop practical insights. Good college infrastructure, great people. 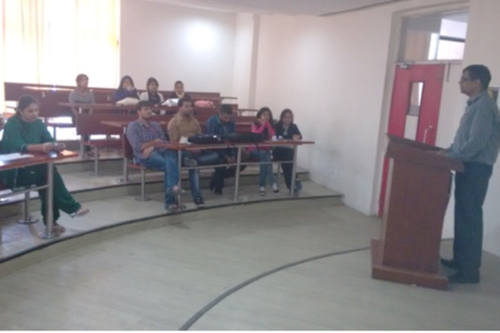 Students gets full attention from the faculty members, good placement support because of the strong corporate network. Faculty definitely know how to transform a normal graduate into a good manager. Never been to College hostel but have heard positives reviews about it. Good infrastructure and college life, but that's the only good thing about this college. No properly equipped labs and poor faculty. Looting students on the name of engineering degree. I'll personally not suggest anyone for this college. 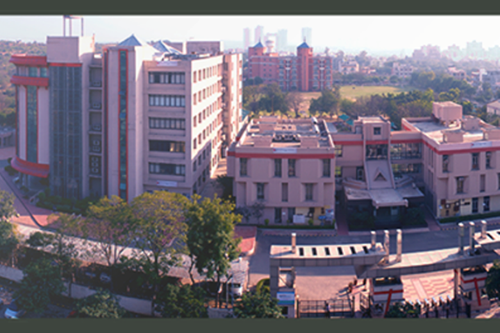 No industrial exposure or placement committee in the college which is working for the students. Ansal University B.Tech 2017 applications available now! 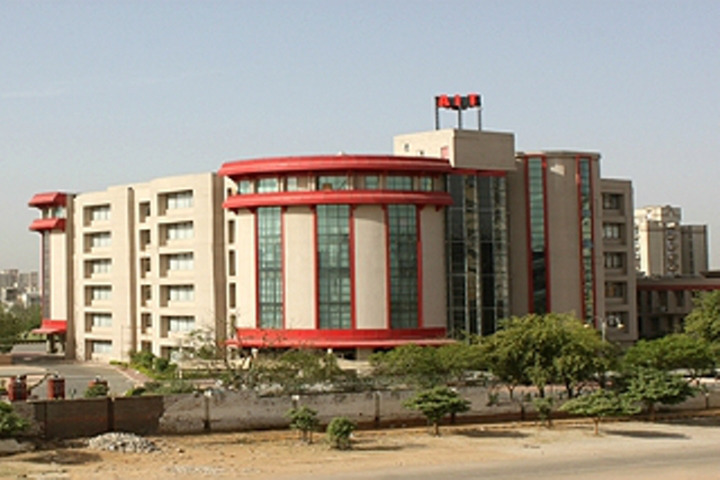 Ansal University B.Tech Applications Available Now! 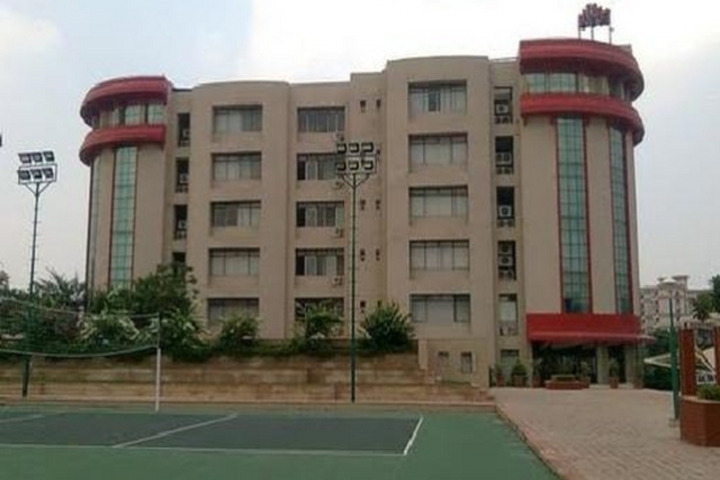 Boys Hostel :Hostel life for any student is one of the unforgettable moments and Ansal University makes stay memorable by providing a holistic atmosphere. Staying at hostel encourage the students to become responsible and independent. It also gives an opportunity to work in a team and develop a sense of understanding of the society as students are from diversified areas and families. There are separate hostels for girls and boys on campus for about 300 residents on triple sharing basis which give them greater opportunities to interact and learn from each other. Students maintain a healthy environment which by working together for projects, assignments and extend a sagacity of togetherness. Facilities Each resident is provided with cupboard, computer table with rack, chair and bed with mattress. House keeping (sweeping, mopping & cleaning) facilities are provided without any extra charge. A common/dinning room with TV, newspapers and magazines is provided in each hostel. 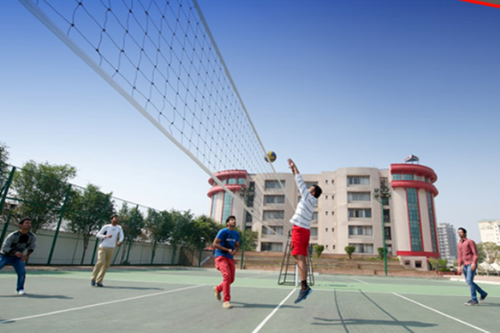 Hostel inmates can use Outdoors games facilities like Basket Ball, Footabll, Cricket, volleyball etc. on campus. A gym facility is also available on campus. Geysers are provided in each washroom Water coolers with RO water are available on alternate floors. Students are provided good quality meals (Veg/Non-Veg) with no restriction on quantity, except for certain items. Meal facility is also available to parents on subsidized rates. 24 hours security is provided at both the hostels. Internet facility is provided at no extra cost. Free consultation by the doctor is provided twice a week. Girls Hostel :Hostel life for any student is one of the unforgettable moments and Ansal University makes stay memorable by providing a holistic atmosphere. Staying at hostel encourage the students to become responsible and independent. 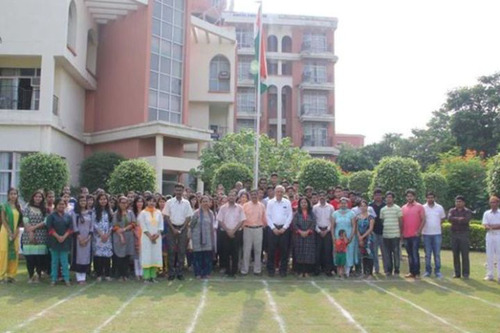 It also gives an opportunity to work in a team and develop a sense of understanding of the society as students are from diversified areas and families. There are separate hostels for girls and boys on campus for about 300 residents on triple sharing basis which give them greater opportunities to interact and learn from each other. Students maintain a healthy environment which by working together for projects, assignments and extend a sagacity of togetherness. Facilities Each resident is provided with cupboard, computer table with rack, chair and bed with mattress. House keeping (sweeping, mopping & cleaning) facilities are provided without any extra charge. A common/dinning room with TV, newspapers and magazines is provided in each hostel. Hostel inmates can use Outdoors games facilities like Basket Ball, Footabll, Cricket, volleyball etc. on campus. A gym facility is also available on campus. Geysers are provided in each washroom Water coolers with RO water are available on alternate floors. Students are provided good quality meals (Veg/Non-Veg) with no restriction on quantity, except for certain items. Meal facility is also available to parents on subsidized rates. 24 hours security is provided at both the hostels. Internet facility is provided at no extra cost. Free consultation by the doctor is provided twice a week. Library :The Knowledge Resource Centre (KRC) of Ansal University is the soul of the University spread over a carpet area of approx. 5000 sq. feet. It has three sections including a main section and has two auxiliary sections where 200 students can be accommodated at a time. It has an extensive collection of latest books and journals, both in print and electronic form. 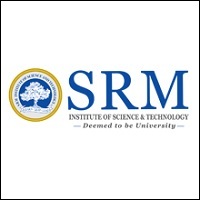 The university has also subscribed to the online Journals and database like IEEE, EBSCO host, JSTOR, MANUPATRA and also member of DELNET for academic and research requirements of the students and faculty members. KRC of the University has a very active learning ambience which proudly proclaims to have rich knowledge resources including approx. 45,000 books & CDs on Architecture, Applied Science, Biotechnology, Computer Science, Design, Engineering, Education, Humanities, Hotel Management, Management, Literature, Law and Liberal Arts, etc. It also has a vast collection of reference books; handbooks, dictionaries and encyclopedia on the subjects to cater to the need and the requirements of the faculty members, researchers, and students. The Library is fully automated & computerized by LS Ease software. 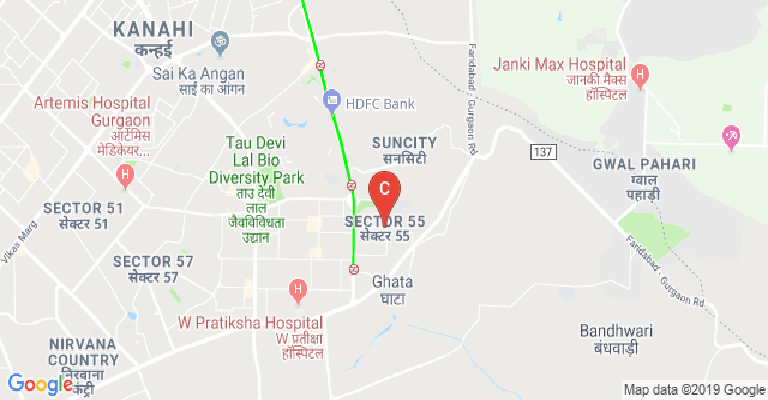 Sports :Ansal University has state-of-the-art sports facilities for its students and faculty with a choice of playing for fun and health or training for serious competition. All the students are encouraged to participate in atleast one sports activity of their interest. Whether you want to improve your health, try a new activity, or train for competitive events, you can do it all here! The sports facilities includes a well-lit sports complex, comprising two tennis courts, one basketball court, two volleyball courts and cricket nets. In addition to this, a football ground that also serves as a cricket field also exists.